Comments: A good light pink with darker eye. A bright color that can serve as a good contrast with almost any dark one. 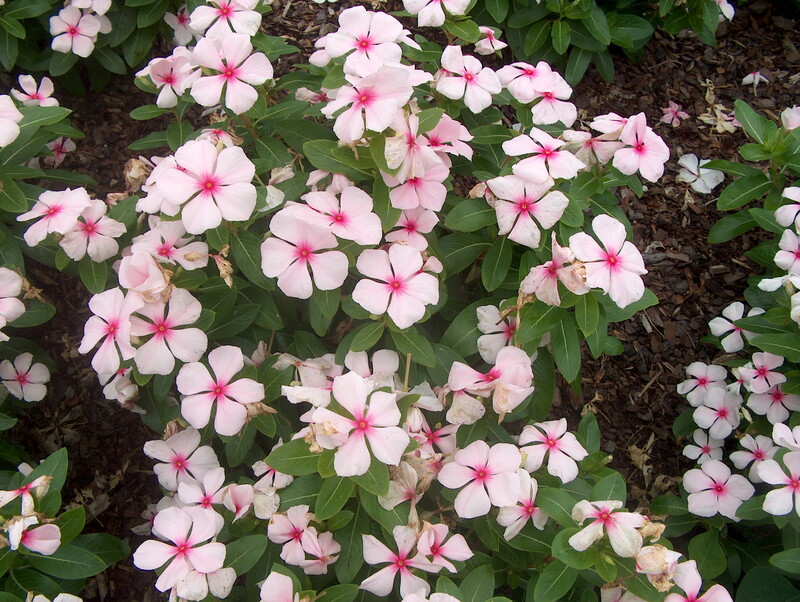 Plant periwinkles in full sunlight and in a well drained soil, preferably in a raised bed. Can have serious disease problems during wet, rainy periods.